Brandon Flowers and co. have been confirmed to top the bill at the Suffolk festival alongside Alt-J and Solange. 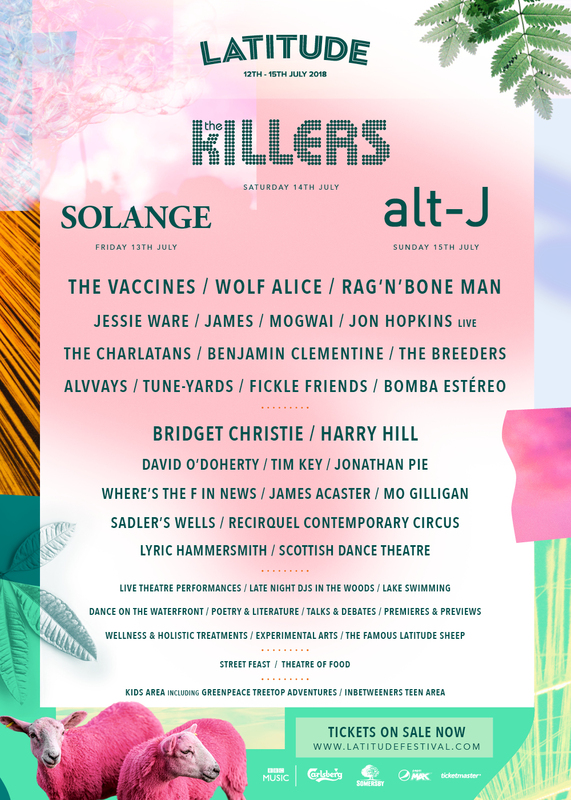 The Killers, Alt-J and Solange have been confirmed to headline Latitude 2018. The Las Vegas rockers will make their first visit to the festival, which takes place in the stunning grounds of Henham Park, Suffolk from 12-15 July. Meanwhile, GRAMMY Award-winning Solange will make her first ever headline festival slot in a UK exclusive. Also announced for the four-day event are Wolf Alice, The Vaccines, James, The Charlatans and Rag'nBone Man. Visit latitudefestival.com for more details and to buy tickets.